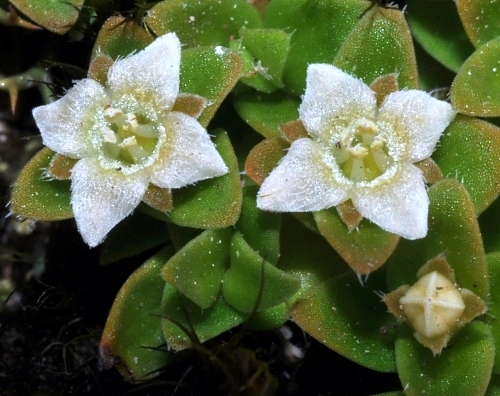 ← Endemic Daisybushes, endemic hybrids? After a year of looking at tree rings in an office, there was no better way of finding a piece of haven than a visit to the Vale of Belvoir Conservation Area, one of my favourite places in Tasmania. Like the Blue Tiers in the Northeast of Tasmania, I consider the Vale of Belvoir my Northwestern spiritual retreat. We arrived to the Vale of Belvoir at the best of times. We had the best kind of weather one could ever ask for. The road into the Vale ended at the edge of Lake Lea. My partner and I got out and sat by the lake listening to the wind blowing through the reeds. We contemplated on how the aborigines must have lived. They must have sat, all those times ago, perhaps at the same spot where we were, listening to the winds sweeping across those same plains. For that briefest moment, we could perhaps taste the kind of life they led, their struggles, and their bond with the landscape that they inhabited. That brief connection we perceived was devastating. It cast into contrast our lives in this current day and age. We have progressed aplenty, but we have much of the old ways to integrate in our current lives. On the green side of things, the Vale of Belvoir has a diverse suite of different plant habitats. 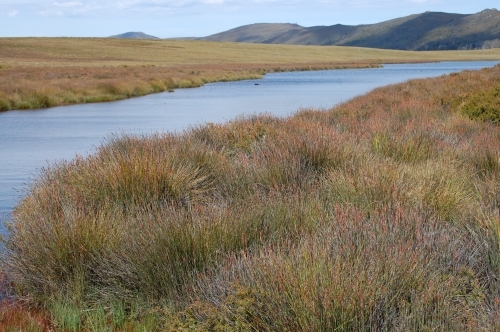 Diversity of habitats = diversity of plants. 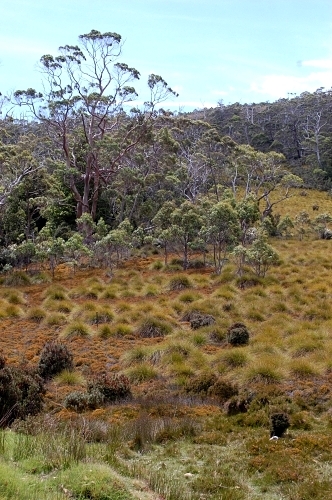 What more, the Vale is home to a suite of rare plants (see my previous post). That is more than enough reason for the Vale of Belvoir to be a must-see spot for plant lovers. So it follows that one might expect to enjoy exploring the open sedgelands, rushlands and subalpine heaths and take shelter in the cool of the woodland and rainforest understoreys should the sun get too scorching. It was a day of exciting new finds for me of which I shall mention three. For more of the delightful sights and botany of the Val, go to my Flickr album set. One of my exciting finds was the Alpine Marshwort (Liparophyllum gunnii). 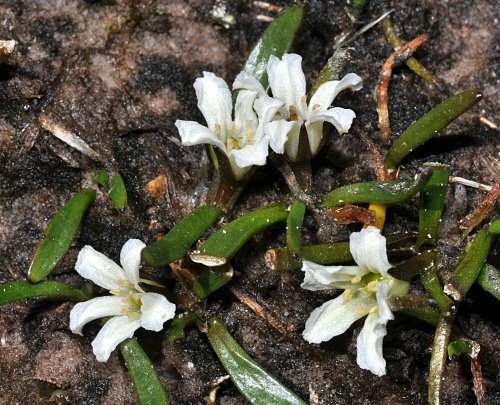 This little curious plant is monotypic (the only member of the genus) and belongs to the Marshwort family (Menyanthaceae), a botanical family of economic importance for it’s aquatic ornamentals. It was growing by the edge of Lake Lea and it was a lifer (first time sighting) for me. 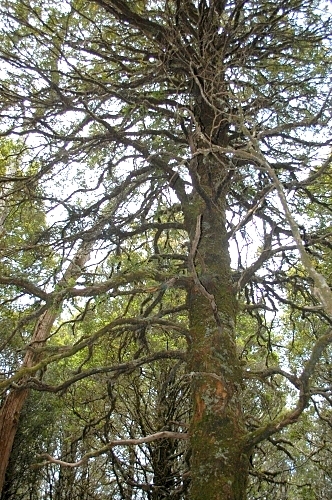 It also has an interesting biogeography, being found only in Tasmania and New Zealand. Another exciting find was the Alpine Appleberry (Rhytidosporum inconspicuum). The alpine appleberry is a rare shrub that belongs, surprisingly, to the Pittosporum family (Pittosporaceae). As the specific epithet ‘inconspicuum‘ suggests, it is one inconspicuous little plant which I wouldn’t otherwise have picked up if not for sheer luck. But therein lies the great joys of being a botanist – seeing the inconspicuous. Then there were the flowers of the Mountain Mitrewort (Schizacme montana). This little mat-forming shrub of the Mitrewort family (Loganiaceae) has the most exquisite little 4-petaled blossums of which I was seeing for the first time. Before that I had only seen, on numerous occassions, the equally exquisite fruits. Our time at in this spiritual-botanical haven was short, but the therapy it offered was priceless. Undoubtedly, this will not be our last visit. The sublime touches one indelibly. 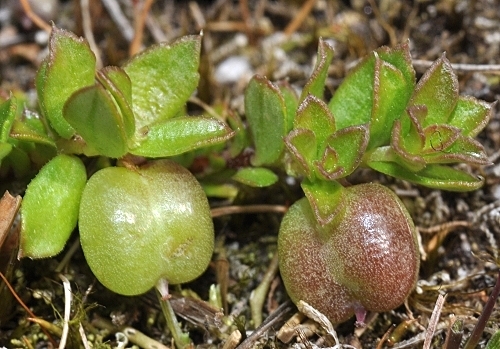 This entry was posted in Botanical Heritage, Fieldtrips, Habitats, Parks and Nature Reserves, Threatened Plants and tagged Alpine appleberry, Alpine Marshwort, central highlands, Central Plateau, Liparophyllum gunnii, Loganiaceae, Menyanthaceae, mitrewort, Mountain mitrewort, Pittosporaceae, Rhytidosporum inconspicuum, Schizacme montana, Vale of Belvoir. Bookmark the permalink.